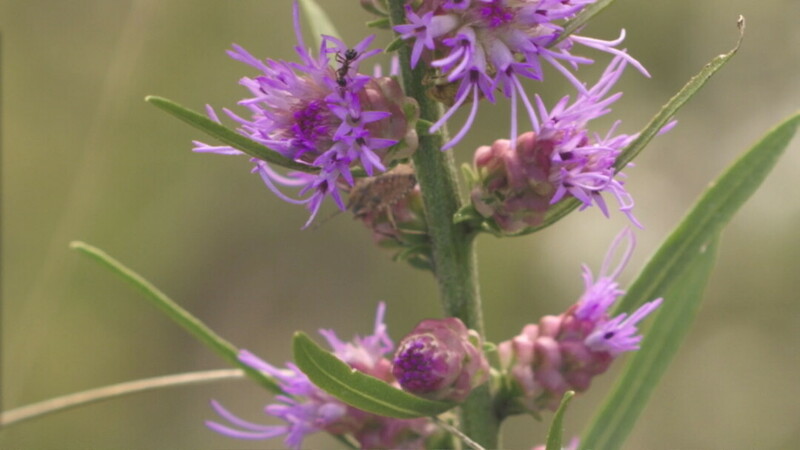 PRAIRIED TREASURE: Blazing star, a plant commonly found in tall grass prairies. Many of us are starting to understand why growing and purchasing organic and local foods can have a positive impact on groundwater and soil quality. However, we don’t really consider other ecosystems of rural areas beyond farmland. In a new short documentary, Prairie Enthusiasm! 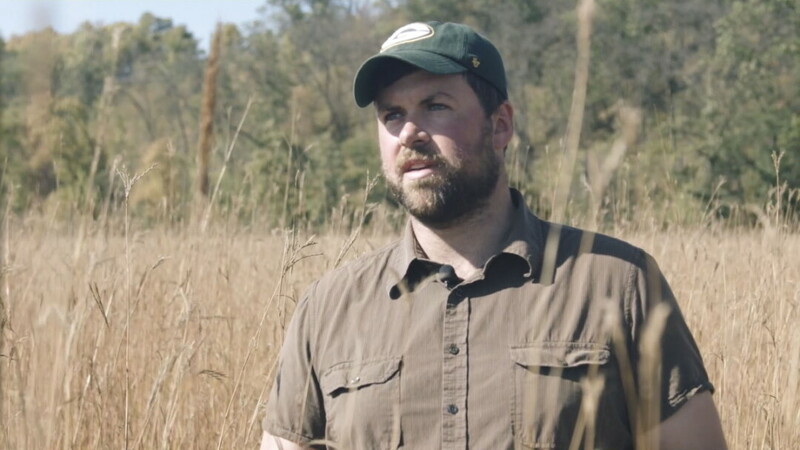 Protecting Our Natural Heritage, created by local filmmaker Joe Maurer, we get an amazing glimpse into the world of people working throughout the Midwest on rebuilding the vast prairies that were here before urbanization and heavy agriculture. The Prairie Enthusiasts themselves, are a non-profit organization, with 11 chapters throughout the Upper Midwest, focus on preserving the last remnants of the prairies and savannas. The Prairie Enthusiasts are quick to point out what they are doing is far from just creating feral land. Their methodology is built on many Native American practices that they believe originally built the prairie lands. Likewise, we learn that fire is itself a cultivation process that encourages flowering plants. This is part of the process that Native Americans had been doing for centuries. As engaging as the scenes of cutting and burning are, they are only a small part of the documentary in the same way this process is just a small part of prairie restoration. It is the Prairie Enthusiasts themselves who explain their process in the documentary. They strive to cultivate seed populations and then share the seeds throughout their 11 chapters. This helps build strong ecosystems. The end result of this work is brilliantly conveyed through the lens. There are numerous plants – including unique, beautiful flowers – and animals which thrive in these environments. These are captured wonderfully in this documentary making it a pleasure to view repeatedly. This documentary is skillfully produced and directed by local filmmaker Maurer, who’s also been involved in the public television series Around the Farm Table. His direction and a community of photographers along with some beautiful visuals from locals Peter Eaton and Lori Chilefone knit this tale of the community together. Prairie Enthusiasm! Protecting Our Natural Heritage, will be screened at 7pm Friday, May 8, at The Volume One Gallery, 205 N. Dewey St. This documentary short follows a few individuals from the organization "The Prairie Enthusiasts" in their path to learn, manage and protect remnant prairies and oak savannas in the mid-western United States. Produced and directed by Joe Maurer.